CBS Sports' official college basketball podcast is the most entertaining and informative of its kind. 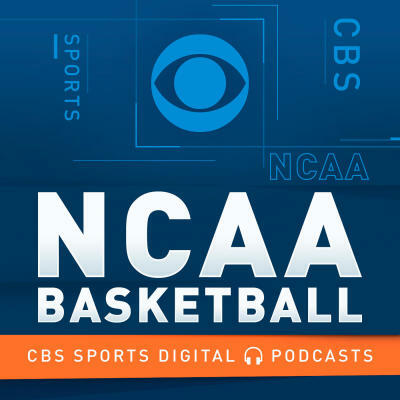 Gary Parrish and Matt Norlander bring the sport into your ears three times per week with commentary, reporting, insider information and statistical analysis throughout college basketball all year long. Norlander was right: Virginia won the national title. It did so in a great game, probably one of the 10 best in NCAA Tournament title game history. Texas Tech had it! Until it didn't. So it went for every team UVA played in the NCAAs. Gary Parrish and Matt Norlander give a lot of time to the title game, to Tony Bennett, to the Cavaliers' biggest plays from the NCAA Tournament, to all you want to hear about in the wake of the end of the 2019 season. From there, some news away from the tourney, including UCLA hiring Mick Cronin (42:00), Chris Mullin stepping down at St. John's (53:00), and a flurry of early NBA drafts decisions (58:00) -- but two huge ones that involve players coming back to college. For the first time in 40 years, a national championship game will feature two schools that have never before made it this far. But first, GP and Norlander pick apart and set the scene for Virginia's inexplicable escape over Auburn in the Final Four. That was one of the wilder endings imaginable on the biggest stage in college hoops. From there, they get into Texas Tech's 61-51 win over Michigan State (23:00) and Izzo's 3-7 record in the Final Four. They close, naturally, with their thoughts and predictions (36:00) on what Monday night's title game will bring -- and they disagree on who wins and who covers. Who will play for the national championship on Monday night? It should be a pretty interesting Saturday on the way to finding out. Gary Parrish and Matt Norlander open this episode -- in the same room, recording face to face; a podcast rarity! -- by discussing why Minneapolis is such a solid Final Four city. First impression, funny stories, all of it. Then, it's on to discussing Virginia vs. Auburn (18:00) and Michigan State vs. Texas Tech (29:45). Don't worry, we've got some Final Four chatter for you on this pod, but the episode starts with the biggest college hoops news of the past 24 hours: Kentucky and John Calipari have agreed to a lifetime deal for the coach, meaning he'll be there for essentially as long as he wants as coach -- and then will be an advisor/emeritus whenever he decides to retire. This is all in the wake of UCLA pursuing/botching its courting of Cal to Westwood. Gary Parrish and Matt Norlander open with thoughts on that, thoughts on what UCLA was doing -- or not -- and recap Cal's first decade with UK. From there, they talk Tom Izzo and Michigan State (23:00) and whether a second title is needed to validate his Hall of Fame career. The guys then run the gamut on Final Four storylines (30:00), including which is the best, and close with Norlander giving honor to the great Rick Byrd (36:00), who retired this week after winning more than 800 games. Here's a Final Four almost no one had: Virginia, Michigan State, Auburn and Texas Tech. Gary Parrish and Matt Norlander open with their initial thoughts on the national semifinalists, then gush and give their reactions to arguably the best Elite Eight in history. They start with where Norlander was at -- Louisville -- with Virginia's comeback/OT win over Purdue (10:00), then move on to Auburn beating Kentucky (28:00), Texas Tech beating Gonzaga (37:15) and Michigan State beating Duke (45:00) and ending the college careers of Zion Williamson, RJ Barrett, Cam Reddish and, almost certainly, Tre Jones. To start, Parrish and Norlander open with Duke barely escaping -- again -- thanks to a bunny missed at the buzzer. Virginia Tech almost had it. But you know who's to thank for Duke moving on? Tre Jones. From there, the guys preview Duke-Michigan State (8:45), then talk the West/Gonzaga vs. Texas Tech (13:20), the South/Virginia-Purdue (21:00) and the Midwest/Kentucky vs. Auburn (33:40). Zion Williamson's return to Duke was probably the best return from injury in a single game in college basketball history. He went 13-of-13 from the field and put on maybe the best statistical performance by a Duke player since Christian Laettner. The guys open on that, then get to talking Duke-UNC predictions and the 1 seed situation that's at stake Friday and Saturday (11:00). From there, a quick chat on the Big 12, Texas and West Virginia (21:30), and a wrap-up on the bubble, the Big East and why St. John's fans have to feel uncertain (28:00). Saint Mary's stunned Gonzaga Tuesday night to win the WCC Tournament. Gary Parrish and Matt Norlander open on that, Gonzaga's standing on the 1 line and Saint Mary's run to, potentially a 12 seed. From there, Norlander makes a case for UNC Greensboro (16:00) and then the guys take a look and make their predictions as to who will be the four 1 seeds on Selection Sunday (20:00). There's some small-conference tourney chatter (26:00) before a discussion of the reported incoming vacancy at Texas A&M (36:30). Will Buzz Williams be the man to replace Billy Kennedy in College Station? This extensive episode leads on making the case for Belmont to be in the field. Matt Norlander brings the evidence, and Gary Parrish has some supporting thoughts. Plus, Furman and Lipscomb cannot receive auto bids, so how realistic are their chances? That's the first 27 minutes of this podcast (we love you, mid-majors) then it's on to a scenic tour of the seven major conferences in advance of those tourneys starting this week: the Big Ten (27:30), the Big 12 (33:55), the ACC (38:30), the SEC (44:45), the Big East (57:55), the American (1 hour, 2 minutes), the Pac-12 (1 hour, 7 minutes). Within those convos, there's bubble talk, 1 seed talk, suspension talk, Sean Miller talk and a ton more. Enjoy! This Monday episode is loaded with tons from the weekend, plus has a preview of the big Monday and Tuesday night games, with Norlander on site in Chapel Hill. The guys open with Duke-Virginia and then get to Virginia-UNC. From there, they talk the selection committee's choices for the top 16 (21:00), which were broadcast on Saturday. At 28:15, some chatter on Nevada -- Parrish was there over the weekend -- and a little on Gonzaga, before the previews and picks (35:30) for three big games on Tuesday: Purdue-Maryland, LSU-Kentucky, MSU-Wisconsin. Norlander has some odds and ends from the weekend to get to (41:00) before the episode closes on Tom Crean and Georgia landing the No. 1 college basketball prospect in 2019 (47:00) and beating Kentucky in the process. The latest episode of your favorite college hoops pod starts with Kansas announcing Lagerald Vick is out indefinitely due to a personal matter. From there, Norlander and Parrish preview Duke-Virginia (8:45), talk Nevada and Gonzaga (13:45), preview Villanova-Marquette (21:30), get to Wisconsin-Michigan (30:00) and then take a breezy tour of Saturday's schedule (35:00), including making note of the poor Pac-12. Then, it's some talk about the NET (44:00) in advance of the CBS top-16 bracket reveal on Saturday, a look at Sunday's Houston-Cincinnati game (48:00) and the pod wraps by asking the question: Will Sean Miller be the coach at Arizona at the start of next season (53:30)? Gary Parrish and Matt Norlander open up on Tennessee's win over Vandy to get to 17-1, then eventually touch on Grant Williams' (11:11) campaign for NPOY. From there, the guys preview Kansas-Kentucky (19:35), Auburn-Mississippi State (26:15), Iowa State-Mississippi (30:00) and Michigan State-Purdue (32:15). They also mix in some birthday talk, as Parrish turns 49, or is it 53? OK, maybe 43. The answer is on this episode. Parrish and Norlander open with Ole Miss, Mississippi State and Auburn hitting the skids on Tuesday, then touch on Indiana (8:35), which has now lost five straight and is approaching a crisis. There's also Duke and Virginia (15:00) to get to, as those teams rolled. The guys have a few good games to mull over on Thursday (20:00), primarily Michigan State-Iowa and NC State-Louisville. They make their way back for Wednesday's pair of interesting games (28:30): Tennessee-Vanderbilt and Purdue-Ohio State. This episode is sponsored by www.ZipRecruiter.com. Before the guys look ahead, Norlander and Parrish check in on Kansas State and the Big 12 at the top of this episode. Plus, Iowa State and TCU (7:10) have had notable weeks. 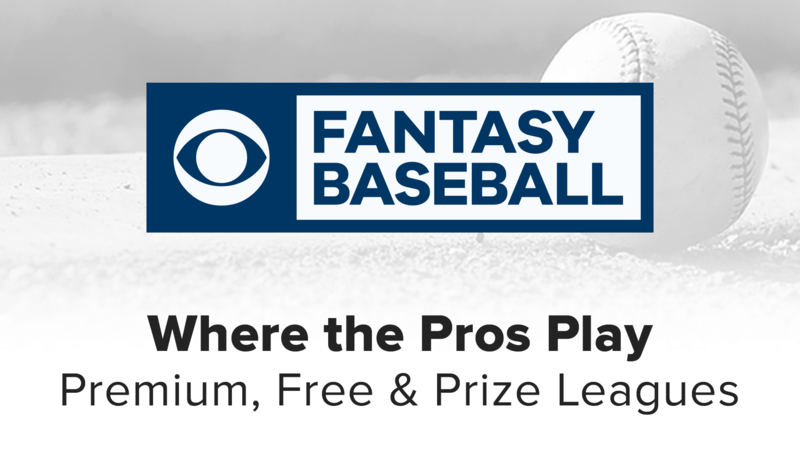 That league is seemingly set to get more unpredictable by the week. The big topic on this episode, of course, is Virginia at Duke (12:00). The guys also touch on what became a debate topic this week: the idea that Zion Williamson should quit playing at Duke to preserve his draft stock (25:20). From there, the fellas get to UK-Auburn (32:40) and Michigan-Wisconsin (36:20). Monday night brought the unexpected: not just a Duke loss to Syracuse, but Tre Jones' troubling shoulder injury that is expected to keep him out for a while. Parrish and Norlander open this episode by discussing the game and the injury, then get to Indiana (20:45) losing at home to Nebraska. With a tough schedule upcoming, could the Hoosiers go from comfortable NCAA Tournament team to the NIT? The guys also touch on Pitt (29:15), which is doing well in its first year under Jeff Capel. Zion Williamson finished with 30 points, 10 rebounds and five assists in Tuesday's 87-65 win at Wake Forest. So he's now the first freshman in Duke history to hit each of those numbers in the same game. Gary Parrish and Matt Norlander open on that. And then it's to Tennessee (7:17), UNC's win over NC State (13:23) in addition to the possibility the Tar Heels finish atop the ACC. As for Nova (21:07), is it going to win the Big East in the same season it lost to Furman and Penn? The guys wrap (29:01) talking Wednesday night's schedule" No. 11 Auburn at Ole Miss, No. 17 Houston at Temple and No. 21 Marquette at Creighton. Which ranked team will get picked off on the road? Matt Norlander's Chicago Bears lost a playoff game to the Philadelphia Eagles in the worst possible way, so he and Gary Parrish open this episode on that, with Norlander just trying to talk through the aftershock. But there's plenty of hoops to get to. First up is Nevada (11:34) losing its undefeated season. Then the guys touch on whether Virginia, Michigan or Houston will be the final unbeaten team (17:05). Bad news came down twice for Kansas (21:32) over the weekend, an Kentucky (28:43) didn't emerge with a win either. Meantime, Virginia Tech (35:03) is highlighted for the first time this season on the podcast. The guys close with a preview of Tuesday's big game (39:34): UNC at NC State. Early Monday morning, UCLA fired Steve Alford midway through his sixth season. That called for an emergency podcast from Parrish and Norlander. The guys start on the news, then discuss the problems with the expectations of what the UCLA job is (and isn't). From there, there go deep into the candidate pool (20:40) and lay out a lot of names. Then, it's time to preview some good games this week. In order: Marquettte-St. John's (38:02), Nebraska-Maryland (40:40), Texas Tech-West Virginia (43:35), Oklahoma-Kansas (45:20) and Minnesota-Wisconsin (47:35). Happy New Year, everyone, and thanks for subscribing. If you haven't already, please rate the podcast well and leave a nice review! UCLA fell 73-58 (!) at home (!!) to Liberty (!!!!) on Saturday. Bruins coach Steve Alford does not seem long for that job now. Parrish and Norlander open on that and go back in time to the reactions from multiple media members in 2013, when Alford was hired by UCLA. Then they get into who could replace Alford in 2019 (20:10) before moving on to the dumpster fire that is the Pac-12 (35:05), which looks to be a two-bid league ... if that. Elsewhere, Kentucky rounded closer to its best form by beating Louisville (44:15) and St. John's (51:30) got jobbed in a loss against Seton Hall. Today's day-after-Christmas podcast opens with some holiday cheer (well, sort of! ), then gets to Parrish and Norlander's top-three picks for National Player of the Year (6:15) as conference play is set to begin in earnest in the coming week. Then it's Coach of the Year nominees (14:45), followed by the biggest surprises in college hoops (19:50) through November and December. As for disappointments (30:55), Parrish has a laundry list, while Norlander's pick is outside the box. The guys close with their updated national title picks (38:20), both of which have changed from who they took in the preseason. Quade Green has transferred out of Kentucky. Are the Wildcats losing a bit of their grip -- or is Calipari losing his touch? Parrish and Norlander start there, then give Crossroads Classic preview (14:24), as Notre Dame-Purdue and Butler-Indiana play on Saturday on CBS. There are loads of good games this weekend, including UNC-Gonzaga (19:00) and Nova-Kansas (24:05). Plus, Norlander tips you on teams on upset watch (29:33), in addition to a brief Sunday preview of games (39:15). Gary Parrish and Matt Norlander look ahead to a stacked weekend of good college hoops, but start at the top with Duke landing Vernon Carey Jr., the No. 2 prospect in the class of 2019. From there, predictions and chatter on undefeated Nevada playing undefeated Arizona State late Friday night (6:49). And on Saturday, Kentucky-Seton Hall (15:20) leads off a loaded day slate. Also going down Louisville-Indiana and Wisconsin-Marquette's big games (18:20) and the CBS noon tip on Saturday of Michigan State-Florida (20:20). And yes, Buffalo -- unbeaten! -- gets some shine (23:50). The big game on Sunday is Gonzaga-Tennessee (26:35), but there's something the guys have to address with Texas (33:15), which has a big game vs. Purdue. Michigan is 7-0 with blowout wins over the past two national champions. And the Wolverines are, once again, excellent defensively thanks to John Beilein's hiring of Luke Yaklich. Matt Norlander and Gary Parrish open this episode by discussing what appears to be the Big Ten's best team. 11:52: The Bob Knight 30 For 30 -- "The Last Days of Knight" -- made its television debut on Thursday. The guys spent a few minutes discussing the controversial coaching icon. There's also a bacon story from Parrish.